Like many of us in the craft beer industry our passions have led us down paths we never would have expected. Meet Lance Shaner; Microbiology Ph.D. turned Bio-tech Patent Lawyer turned Professional Yeast Propagator and Owner of the Midwest’s only local source for brewer’s yeast - Omega Yeast Labs. He first became interested in craft beer during college, venturing into homebrewing with his then roommate. Working in labs while in college and having the ability to propagate his own yeast definitely had it’s perks as a homebrewer. Back in 2012, while talking to friend and law colleague Andy Smith about his plans to open Ten Ninety Brewing, Smith expressed the challenges and cost involved in obtaining brewers yeast. Until recently breweries have only had three sources for buying liquid yeast - White Labs (based in California), Wyeast (Oregon) and Brewing Science Institute (Colorado). Only two of these providers (White Labs and Wyeast) are available at the retail level for homebrewers. Yeast being a sensitive and perishable product requires overnight delivery on ice, the shipping costs alone on large volumes can be astronomical. It was clear to Shaner that an opportunity to provide a better solution for local brewers was in demand. Feeling disenchanted with his current career, he immediately started researching what it would take to get started. He knew if he could propagate the yeast himself and deliver a fresher, more affordable option, everyone would win. The details came together very quickly and now less than a year later Omega Yeast Labs is providing yeast to over 20 local breweries with a retail launch for homebrewers just weeks away. With over 70 breweries and a dozen homebrew shops within a 50 mile radius, the need for yeast is plentiful. Shaner doesn’t have his eyes set on anything bigger right now, expressing how much room there is for growth locally before looking at expanding beyond the Chicago market. 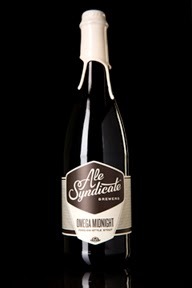 One of his most recent collaborations was with Ale Syndicate on their righteously named “Omega Midnight” Foreign-Style Stout. Shaner met Ale Syndicate last year during LivingSocial’s Beer Fest at Lincoln Park Zoo. They later came to him with an idea for a stout with a blended yeast strain. Much like the collaboration with Ale Syndicate, Omega Yeast Labs' point of differentiation, in addition to cost and location, is Omega's passion for creating new yeast strains. According to Shaner, the current yeast providers are essentially acquiring and recreating yeast strains that exist in the world and many of these strains come with their share of challenges for brewers. For example Wyeast French Saison strain has a high attenuation rate, finishing very dry and peppery. Another favorite, Wyeast Belgian Saison has very desirable bubble gum, fruit and spice aromatics but is notorious for stalling out mid-fermentation, causing the brewer to have to make a number of adjustments in temperature and schedule in order to fully ferment. With his lab technology Shaner has been able to create a hybrid Saison yeast strain (“Saisonstein’s Monster” OYL-500) that has both the desired flavor profile and robust fermentation, combining the strengths of both Wyeast strains. Solving challenges like this are what truly excites Shaner, and the rest of the brewing world. Omega Yeast Labs will produce a number of popular yeast strains, however Shaner plans to continue to explore the possibilities of combining more diverse flavor profiles. Shaner further explains that "the new technology has great significance to the brewing industry. For example, a brewer might like a particular flavor profile of a yeast strain, but would not use it in a production environment because it takes too long to drop out of the beer. That strain could be crossed with another strain known to be highly flocculant (i.e. easily clumps). Screening through enough hybrids can reveal a strain with the desired flavor characteristics and better flocculation." In addition to the professional breweries, there has been a huge amount of interest from the local homebrewing community. 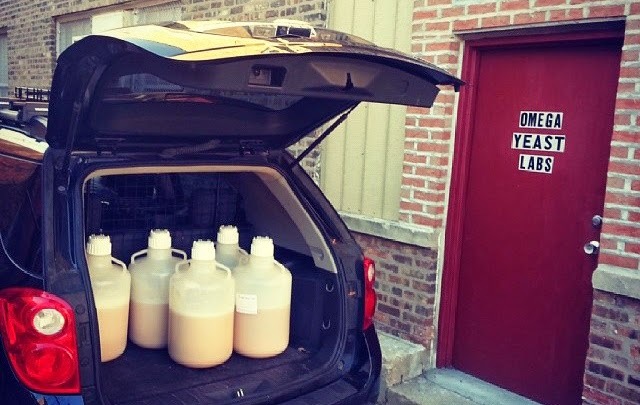 Shaner has spent time in the last few months with Square Kegs Homebrew Club, CHAOS Brew Club and Chicago Brew Werks sharing yeast education and offering the opportunity to brew with the hybrid Saison yeast at the small batch level. For more information on the over 60 yeast strains currently available through Omega Yeast Labs, please check out their catalog. Omega offers free delivery for within a 20 mile radius for orders over $150. Packaged yeast will be available at your local homebrew stores by early May. For further questions or requests, please contact them at info@OmegaYeast.com. You can also track their latest yeast developments by following them on Facebook and Twitter. 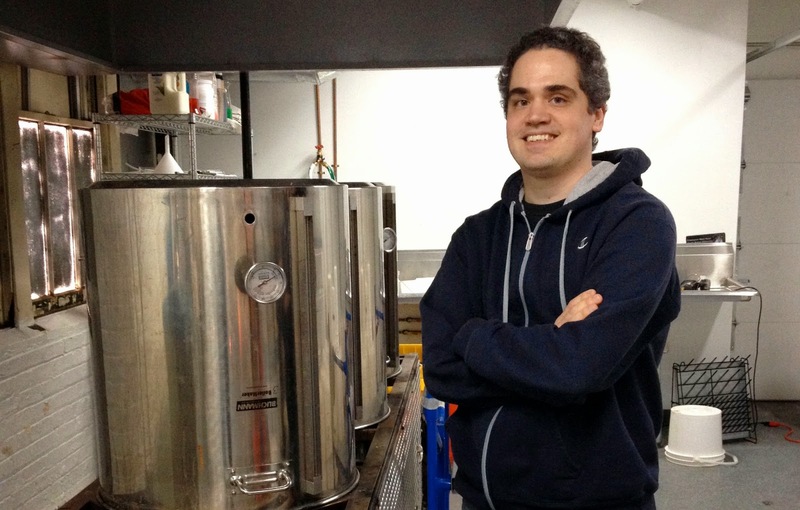 Owner Lance Shaner, pictured with their 40 gallon brewing system.